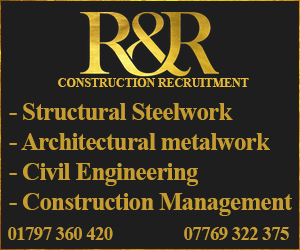 John Ruck Construction Ltd (JRC) design, fabricate, erect and clad steel frame buildings for Industrial, Commercial and Agricultural customers throughout the UK. Established in Herefordshire by John Ruck in 1976, JRC have built an enviable reputation for delivering high quality buildings, safely, on time and within budget. Their many regular customers will tell you that they value the experience and the positive, professional, ‘can-do’ attitude that John and the team at JRC bring to construction work. JRC are fully accredited to CE Execution Class II and with their specialist partners, JRC can offer a full ‘one-stop-shop’ capability from design and planning, through fabrication, civil engineering groundworks, building control, CDM, installation and cladding. JRC will work closely with you throughout the construction project, so that they fully understand your requirements. Their expert team will then be able to ensure that they deliver exactly what you want. For a full rundown of the services provided by JRC give them a call on 01568 617 950, or click through to their homepage to find out more.